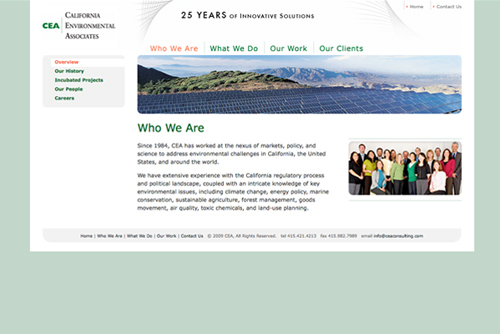 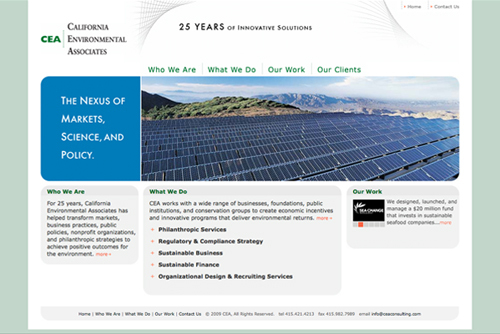 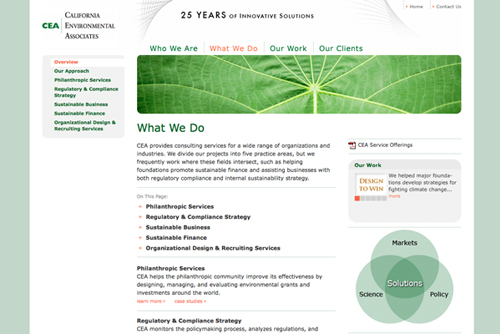 Redesigned the California Environmental Associates website. 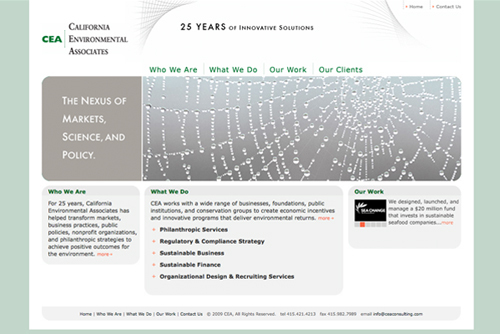 Worked on all landing and subpages. 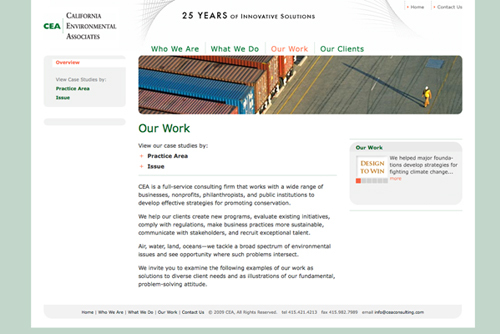 Chose the images displayed and matching color block.